Years ago the fireplace was used in a dining room as a medium to combat cold tempreature, while nowadays it’s used mostly for décor. No matter how you might use it, a fireplace is a feature that adds both character and warmth in a room. 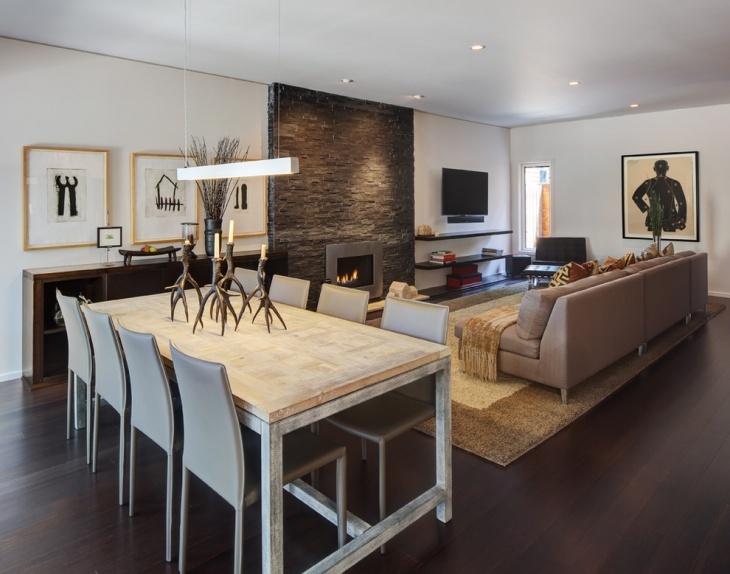 In case you have or you want to build a fireplace in your dining room, we have picked up a few gorgeous dining room fireplace ideas that might give you the needed inspiration. 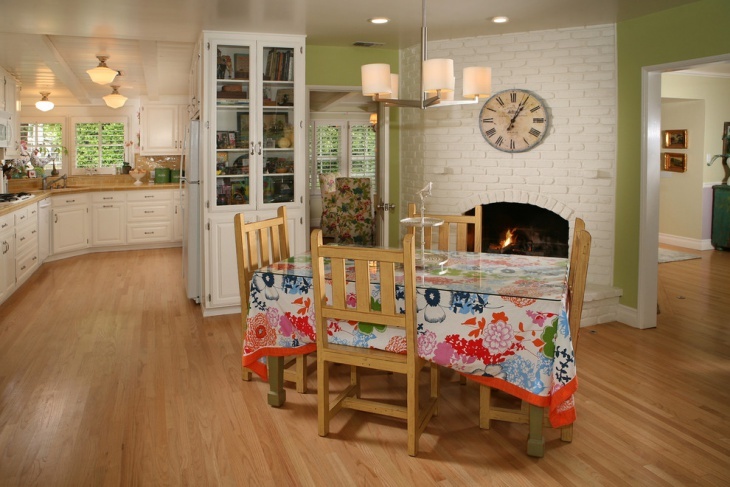 Style your dining room in a rustic design. 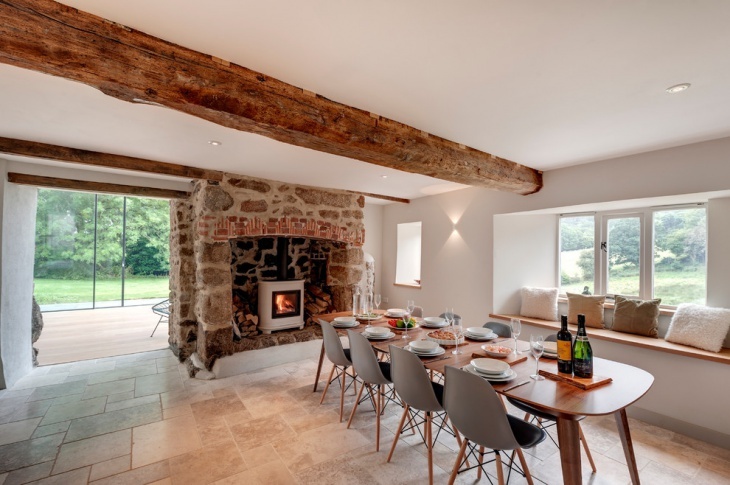 A fireplace lined with stone tiles will give you all the needed warmth for both formal and informal dinner parties. 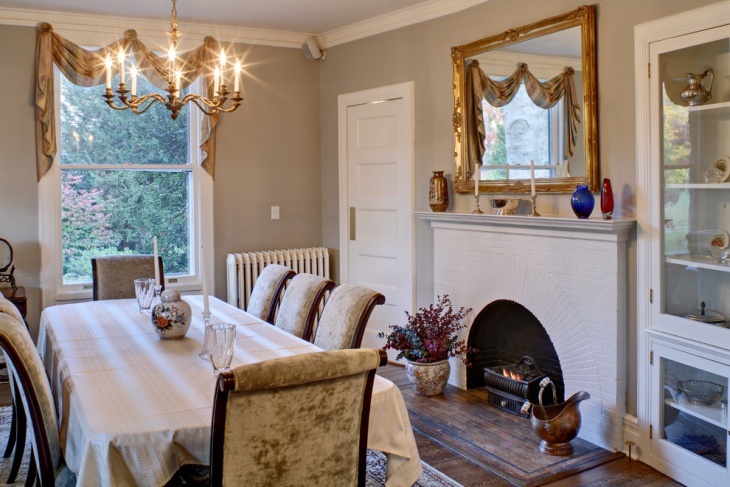 Even a small dining room can have a fireplace. You can build it in a smaller size. This way you can invest in an electric fireplace. They are convenient in size and still heat the room nicely. Electric fireplaces have simple design and are made to be functional. These are perfect for a modern style dining room. They are suitable for apartments because they don’t require wood as fuel. 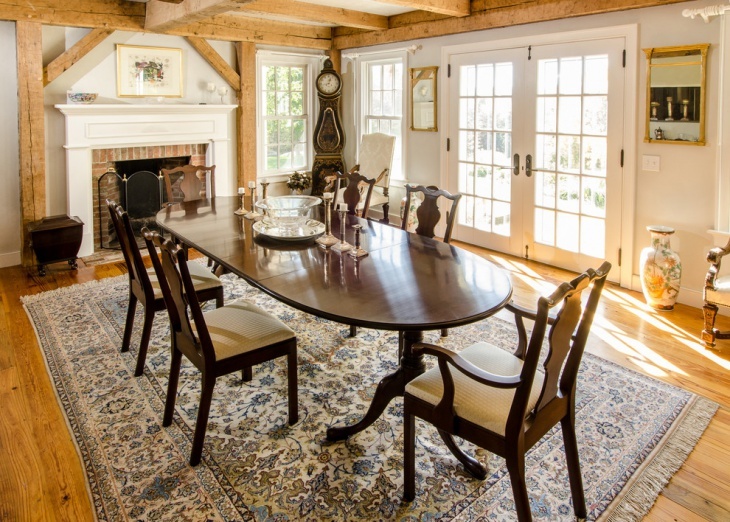 To create a formal setting in your dining room you can choose the appropriate material for your fireplace. 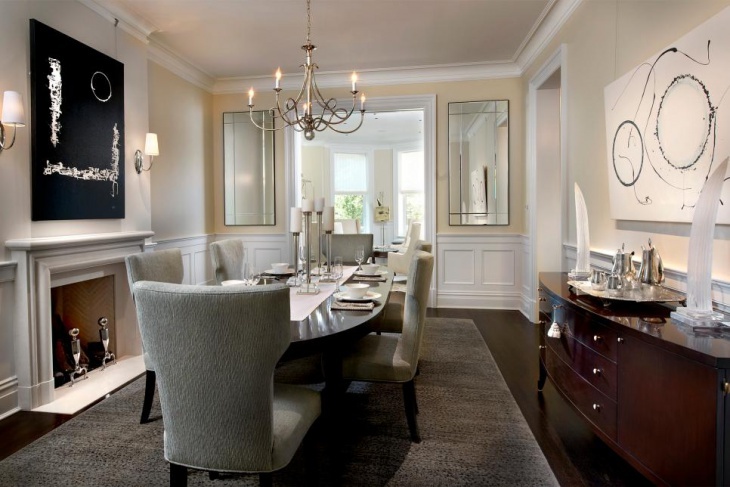 Marble lining is a great choice to add elegance and a dose of luxury in your dining room like this Victorian one. If your dining room is large you can have a large fireplace too. 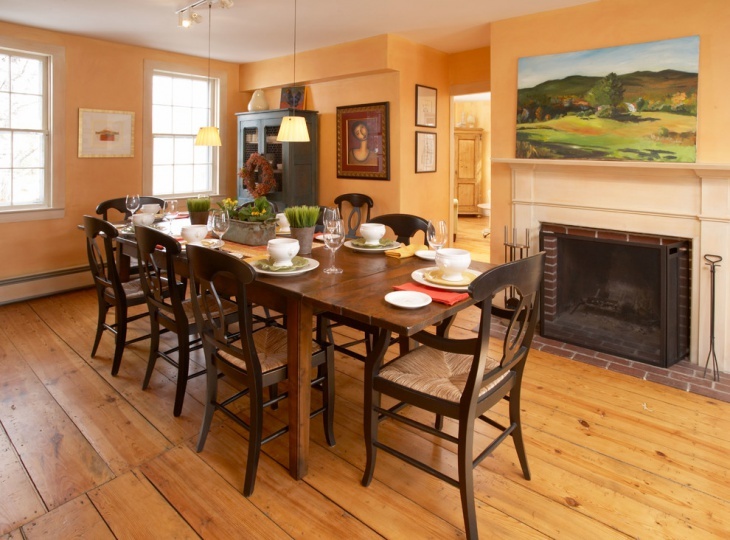 Like this farmhouse style dining room, the fireplace is built inside a wall. The dimensions of the fireplace follow those of the room, giving a balance to the eye. You can have a white fireplace mantel. 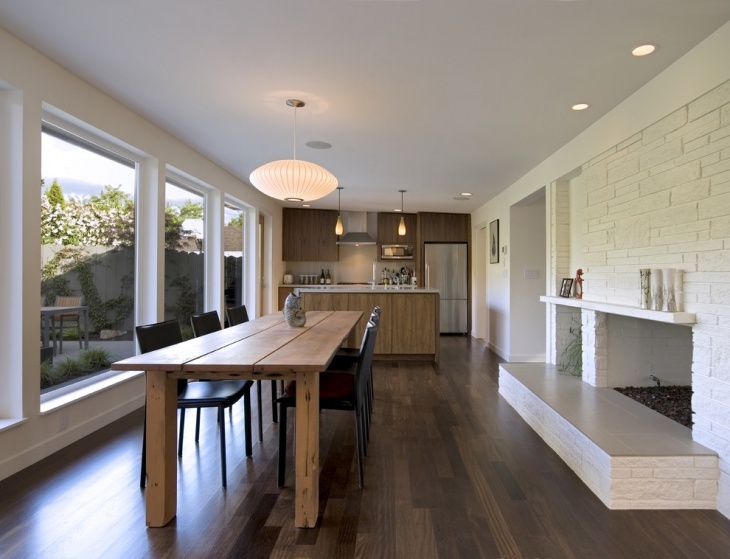 As in this modern kitchen dining room, the simple lines of the fireplace match with the brightness of the color give a sense of calmness in the room. For open space dining rooms, you can create an accent wall that will frame the fireplace in a dark shade for more emphasis. If you don’t need a warming fireplace to light and you just want to have it for décor then you can build a faux fireplace. Use raw materials to frame your fireplace mantel. 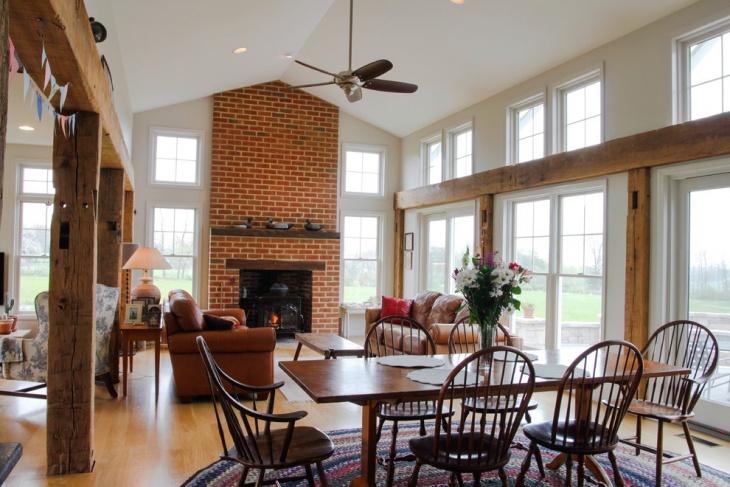 A built in fireplace with bricks that reach all the way up to the ceiling will make the room look higher. 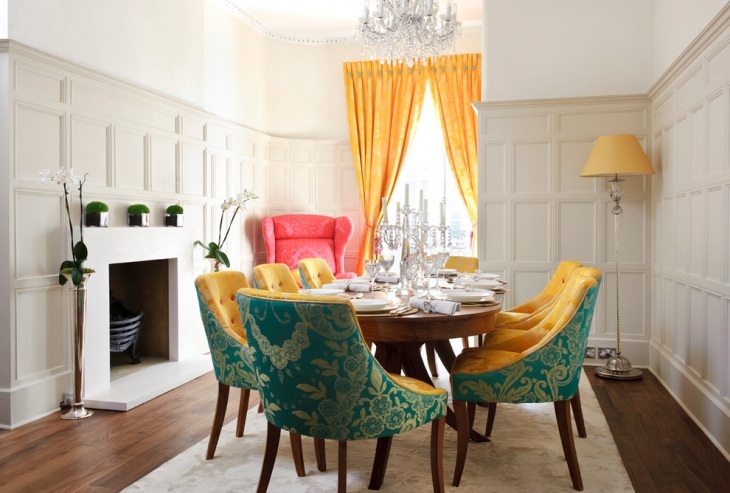 According to the style you chose for your dining room, you have to design the appropriate fireplace. Make certain whether it’s going to be used for heating or as a decorative feature. This will determine the way it’s going to be built. Use raw materials like stone, brick, marble or wood. Accessorize depending on the chosen style. 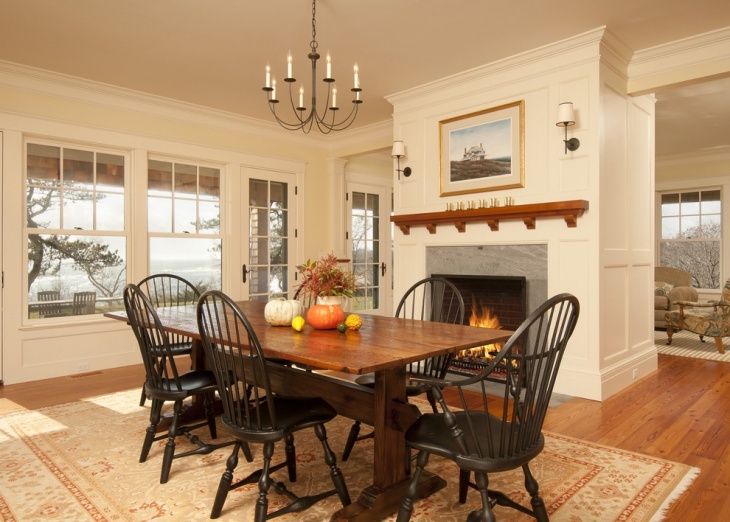 You can have a fireplace in your dining room and enjoy its warmth and comfort. You can decide on the style depending on the atmosphere you want to create. The character that it brings to your room will be admired by your guests every time you host a dinner party.